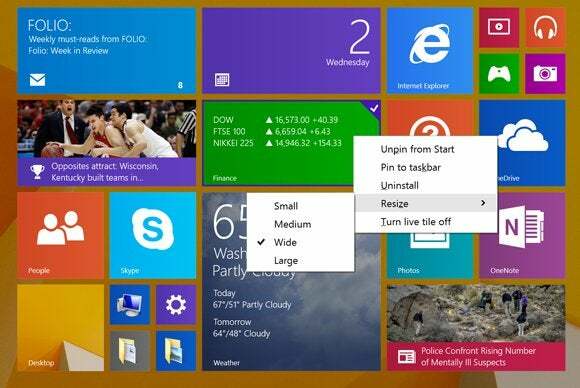 After today's rollout of the Windows 8.1 Update, sticking with plain old Windows 8.1 could be a security risk. A post on Microsoft's Premier Field Engineering blog reveals that Windows 8.1 users won't receive security patches or other future updates unless they install the new update available today, as first reported by ZDNet's Mary Jo Foley. For many users, this shouldn't be an issue. Microsoft is delivering the Windows 8.1 Update through the traditional Windows Update method, rather than through the Windows Store (as it did with the original Windows 8.1 release). Unless you've disabled automatic updates in your PC settings, the Windows 8.1 Update should download and install on its own. But if you aren't installing updates automatically, and don't like the changes Microsoft is bringing in the Windows 8.1 Update, there's no option to skip this update and still receive basic security patches. To be clear, Microsoft will continue to patch Windows 8, as well as older versions such as Windows 7 and Windows Vista (but not Windows XP, which Microsoft has stopped supporting as of today). The update requirement only applies to users of Windows 8.1. If you're not sure whether you're running Windows 8 or Windows 8.1, you can check by going to PC Settings > PC and devices > PC info and looking under the “Windows” section. To update from Windows 8 to Windows 8.1, open the Store app, and you should see an update option featured prominently on the home page.